Sources close to the situation told Garrett Harward and the administration had a dispute over staffing the security council. Specifically, Mr. Trump told Deputy National Security Adviser K. T. McFarland that she could retain her post, even after the ouster of National Security Adviser Michael Flynn. 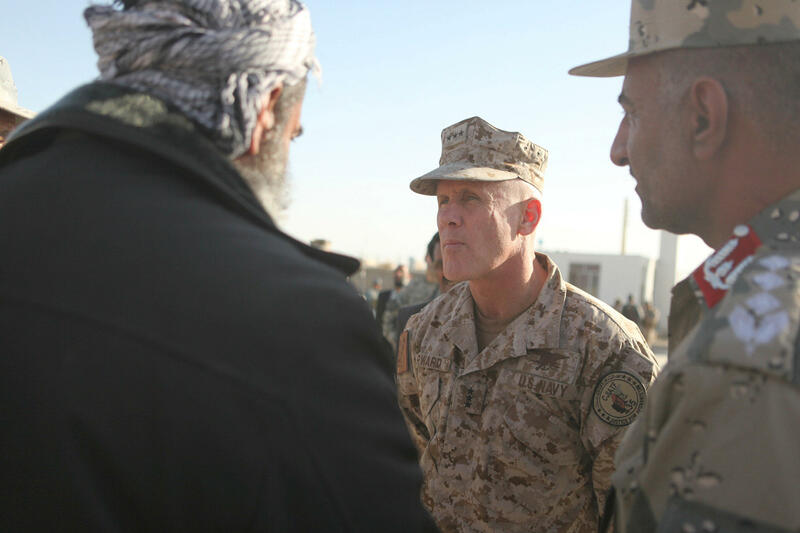 Harward refused to keep McFarland as his deputy, and after a day of negotiations over this and other staffing matters, Harward declined to serve as Flynn’s replacement. Harward, a 60-year-old former Navy SEAL, served as deputy commander of U.S. Central Command under now-Defense Secretary James Mattis. He previously served as deputy commanding general for operations of Joint Special Operations Command at Fort Bragg in North Carolina. Harward has also commanded troops in both Iraq and Afghanistan for six years after the 9/11 attacks. Under President George W. Bush, he served on the National Security Council as director of strategy and policy for the office of combating terrorism. Flynn resigned from the post amid questions about his contacts with Russian officials. The president announced early Friday via Twitter that retired Lt. Gen. Joseph Keith Kellogg was now in the running to replace Flynn, along with “three others” that he could tap for the National Security Adviser post. Law enforcement sources confirmed earlier this week that FBI agents had interviewed former national security adviser Michael Flynn last month. According to the Defense Intelligence Agency, Flynn’s security clearance has been suspended as investigators look into his ties to Russian officials. At a press conference Thursday, Trump defended by attacking the press and members of the intelligence community for the “illegal process” of leaking information. “He didn’t tell the vice president of the United States the facts and then he didn’t remember,” Trump said of Flynn, saying that was why he asked for Flynn’s resignation.